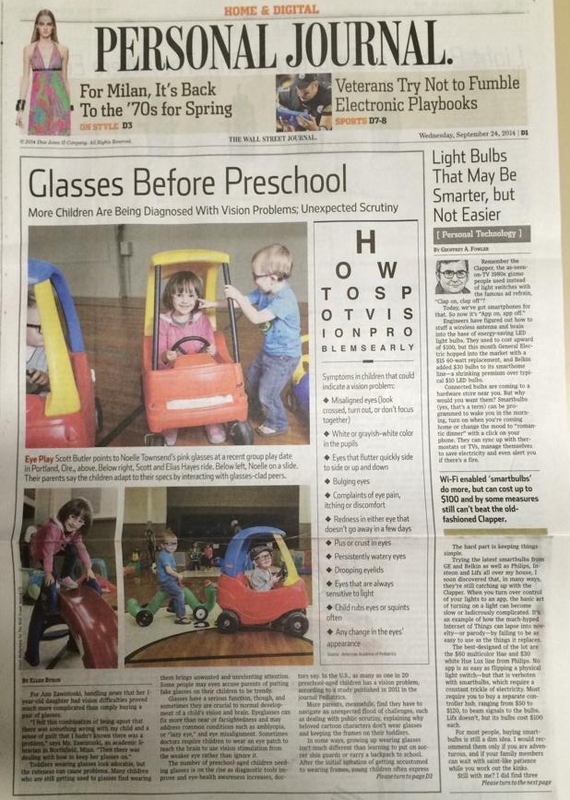 Last week, The Wall Street Journal ran a fantastic article about having a toddler or baby in glasses. Head on over there and read it if you haven’t already done so. I think it’s a great piece to share with family or friends who have questions about why your child might need glasses, or why that might be a difficult thing. The journalist, Ellen Byron, spoke with me for quite a bit about my experiences with having a 1 year old in glasses, and also about what I’ve learned from hearing from all of you. She also spoke with quite a few other parents and eye care professionals. There’s an accompanying video and some great pictures, too. Take a look! ← Glasses Board Book giveaway!! !